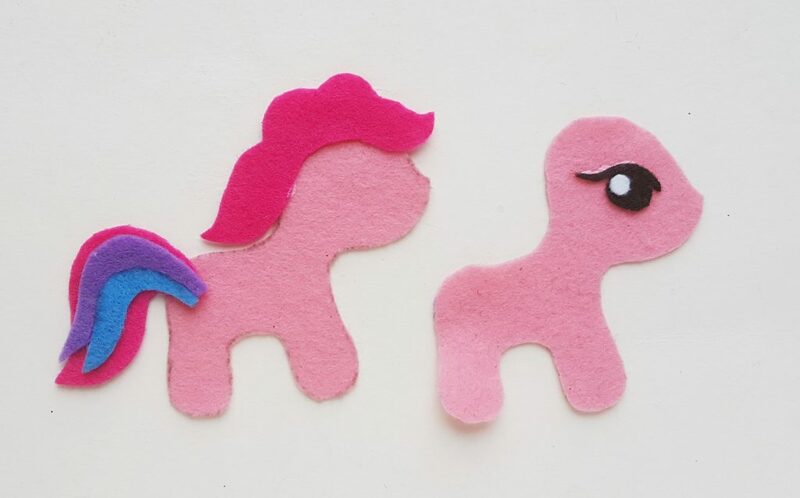 Carrie and I used to play with My Little Pony all the time when we were young. Which is why it’s so interesting that My Little Pony is popular again! 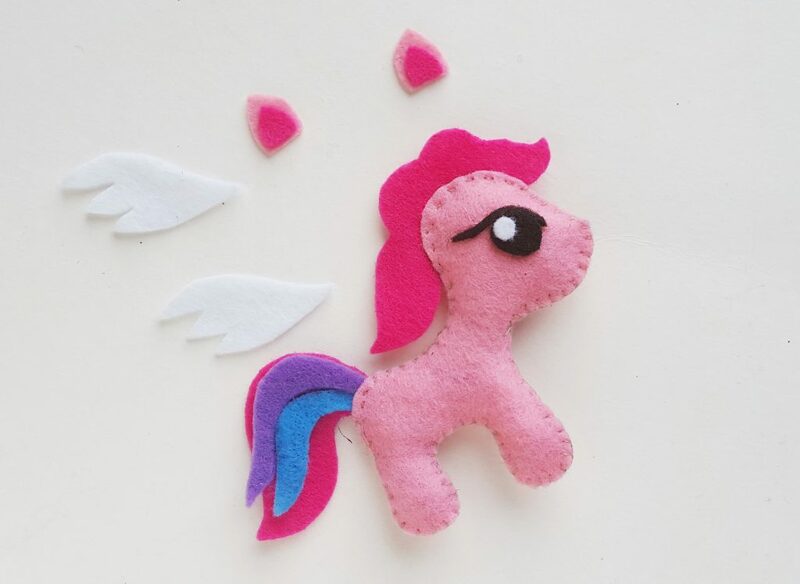 While we loved playing with My Little Pony toys, our mom also taught us to enjoy making simple felt crafts. 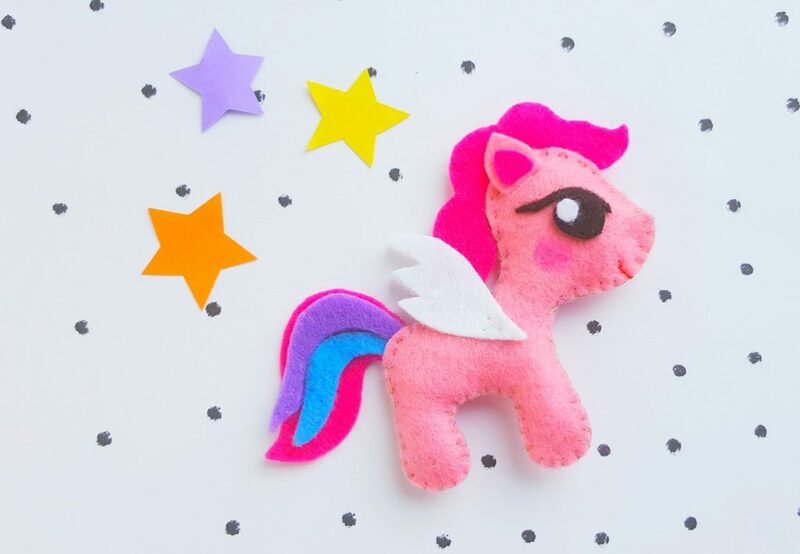 So combining both loves into this DIY My Little Pony felt craft with a free pattern is like combining all the best of our childhood! 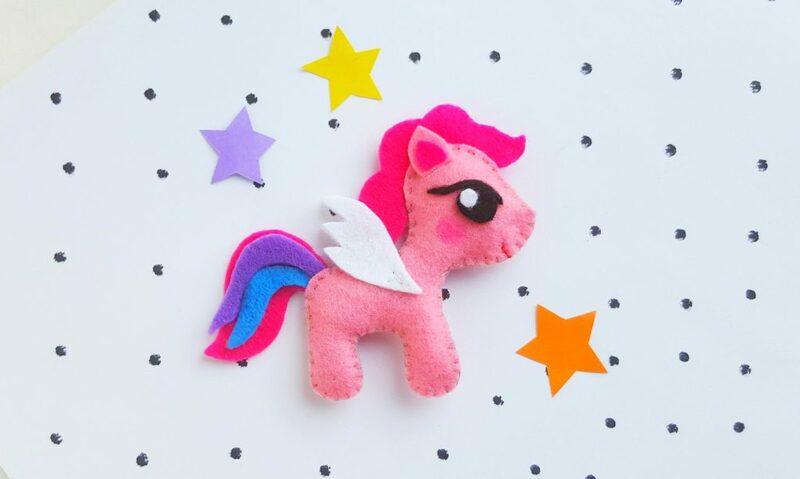 This My Little Pony felt craft is easy enough for an older child to do on their own. It’s also a super cute craft to make as an adult, too, whether you’re making it for gifts or simply to add a smile to your day. 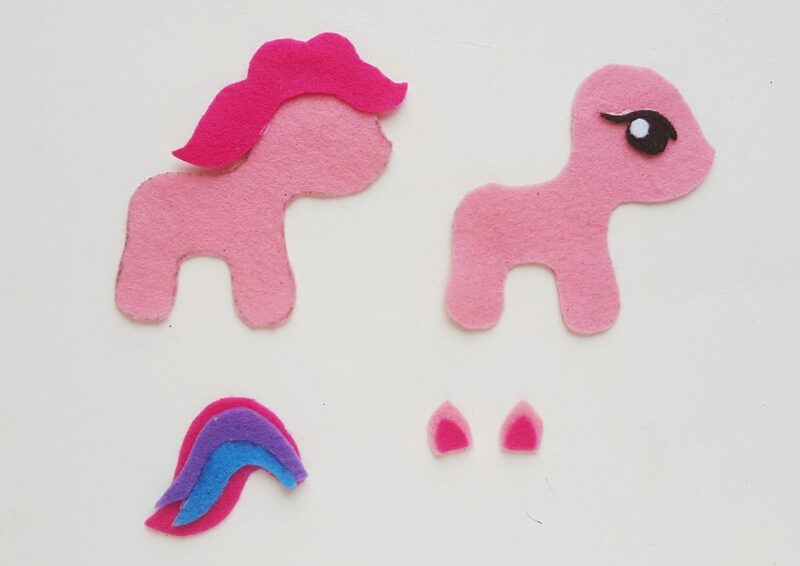 Felt crafts are simple, easy and cheap. That’s why we love this DIY No-Sew Ruffled Felt Flower craft, too. 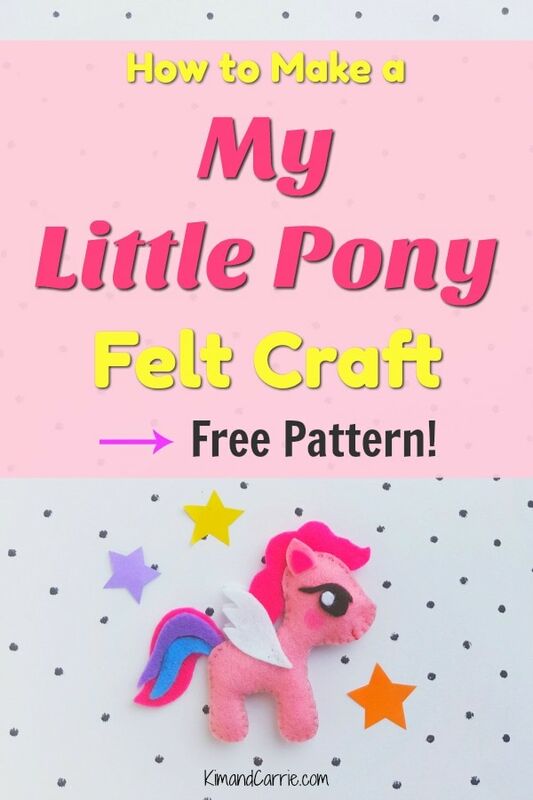 Felt can be bought in craft stores for little money (especially with coupons and sales!) or online. This is a great deal on a multi-pack of felt! The price is awesome! 1. Print and cut out the patterns from the template. Select the felt fabrics of your choice and trace the patterns on them. Use scissors to cut out the patterns. 2. Lay the two body pieces on a flat surface. Using the pieces for the eyes, assemble them on the front body piece and glue them in place. Glue the hair on the back body piece. Attach the inner parts of the ears on the large parts of the ears with glue. Glue the four tail parts on the base, putting two on each side. 3. Place the tail on the back side of the back body piece. 4. Neatly place the front body piece on the back body piece; making sure to match all sides of both body parts. Prepare a needle and thread. 5. 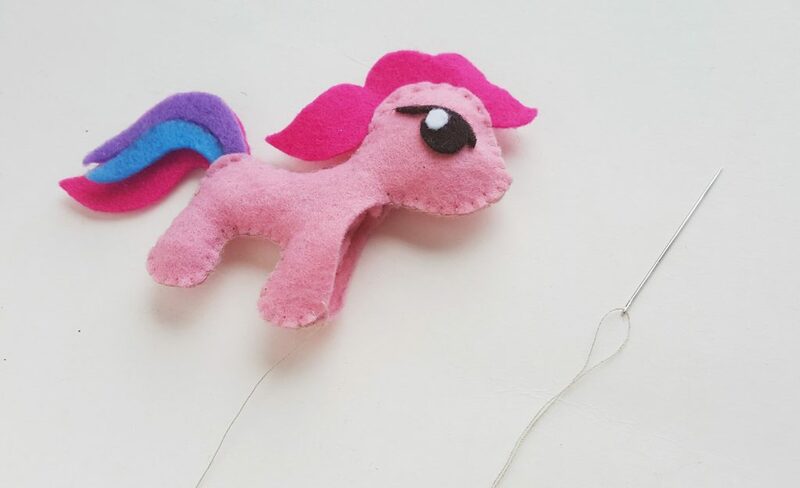 Start stitching from either the head part or the back leg. 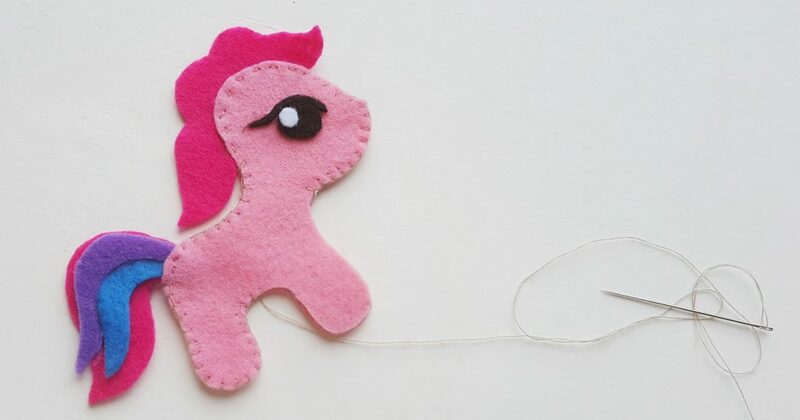 Do an easy flat blanket stitch along the side to attach both body parts together. Do NOT stitch the entire body together, though. 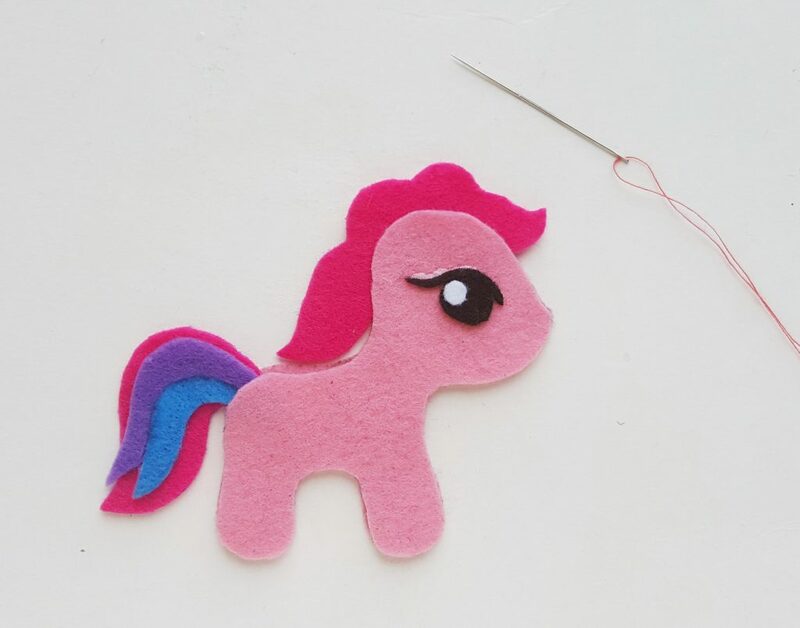 Keep a small opening for stuffing the felt pony. 6. Use the leftover felt fabrics from this project for the stuffing. 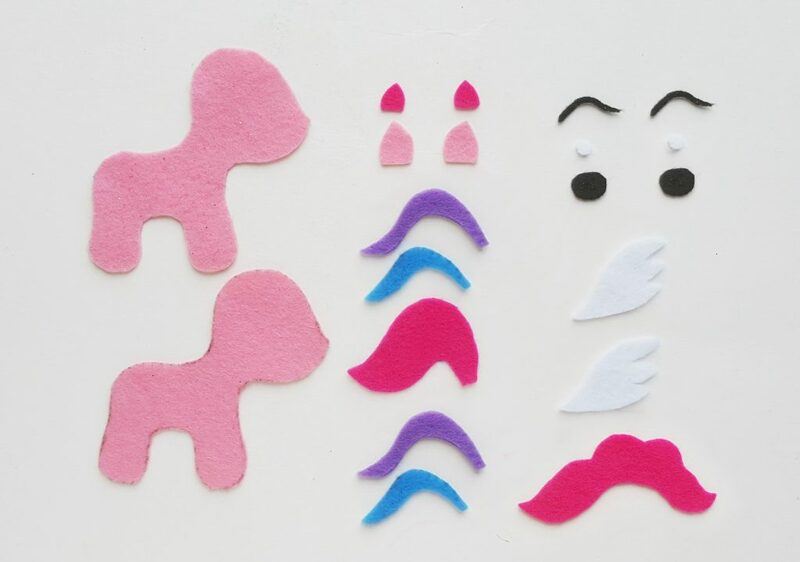 Use scissors to cut them into small pieces. Or use a polyfill stuffing. 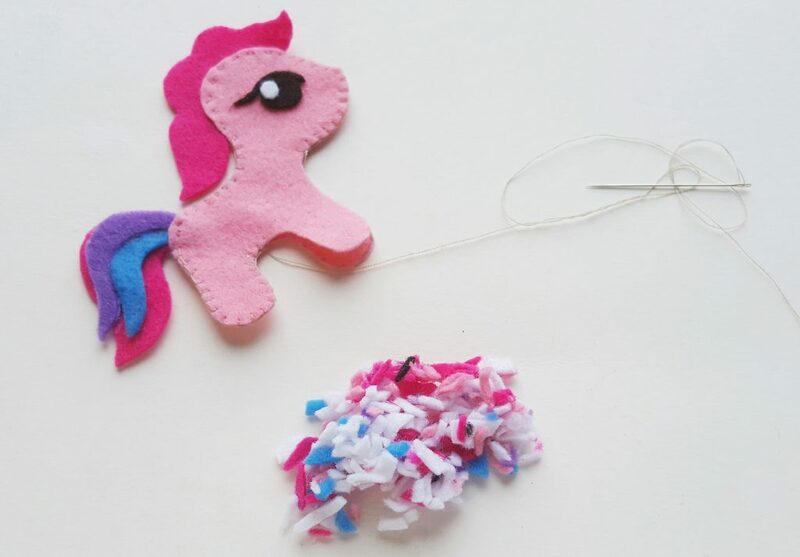 You could even just use cotton balls or facial tissue. Stuff the plush to be as thick or thin as you would like. 7. Use needle and thread to close the open end. 8. 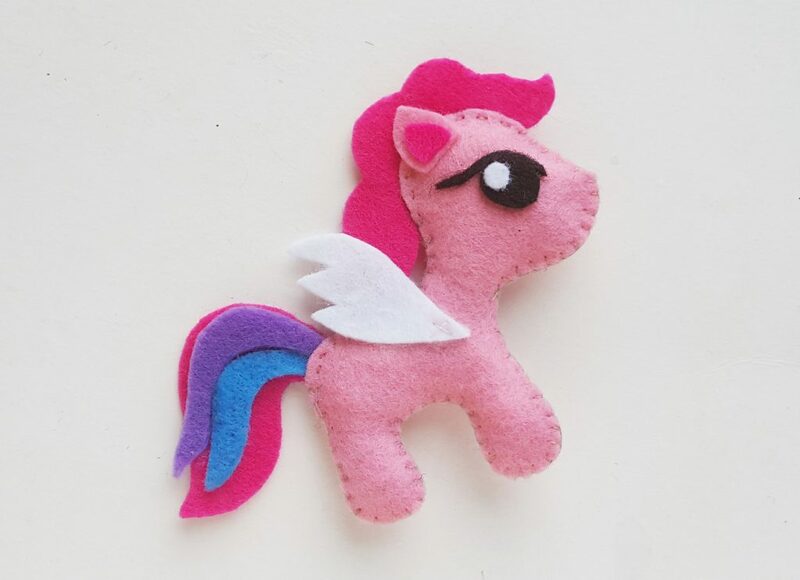 Place the ears and the wings on their positions and stitch or glue them. For the wings I did a simple cross stitch on one side with the body parts.